Sometimes, you just don’t have enough time to sit down and play a full RPG, or a full level of an action adventure game. For those times, it’s great to have a "fidget" game for your PSP – a game that contains many different small, easy-to-learn games within it. These games can be played in small doses, making them great for breaks at work or at home. Work Time Fun – WTF? 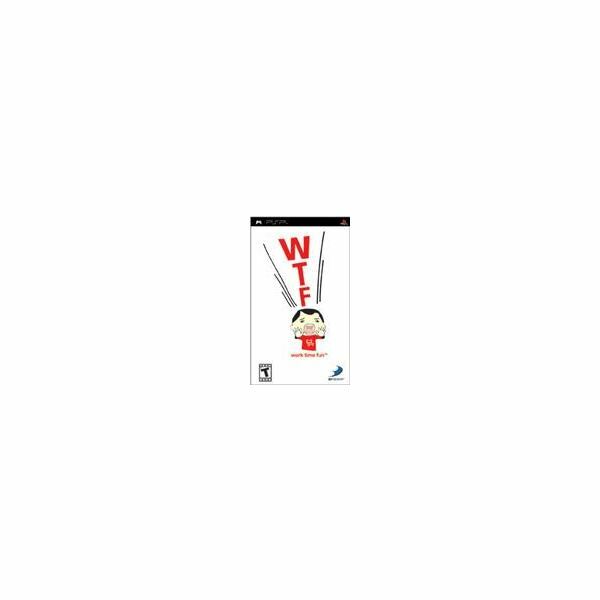 Work Time Fun – Work Time Fun, or WTF, is a collection of mini games for the PSP that are quick – and require quick fingers. They can be played with 30 seconds of time or in several hours, depending on how long you want to play. With short, mini games like "Chick Sorting", where you must place girl and boy chicks into the correct box, and "Hell Pottery" where you need to use the right amount of fuel to fire a piece of pottery, there are 40 games to interest anyone. The best part? It’s available as used video games for under $20. Hot PXL- is an Atari published game for your PSP with over 200 quick mini games included on the disc – and even more to download. You can play old-school style video games (think Atari’s old arcade cames) and things like stage-diving – all in one game. While not rated as well as WTF, there are advantages to having 200 games at your disposal. This game can usually be found in the used video games section for under $10 – how can you go wrong with a price like that? A demo is also available for download. While not puzzle games in the traditional sense, mini games do appeal to many puzzle gamers. So sit down, and get ready to fidget! PSPGo! Mini Downloads: Good or Bad?